Microsoft's Xbox Entertainment wing is officially being shuttered. But before that chapter in the company's history officially closes, the Redmond company wants to again try to capitalize on one of its most beloved and storied franchises: Halo. With the TV series in the works, and Comic-Con kicking off today, the first trailer for the show has been released. How does it look? Like a TV show with guns and some hints that, yes, this is in the Halo universe. Halo: Nightfall takes place between Halo 4 and Halo 5: Guardians, meaning it's going to set the stage for the next video game. The character of Jameson Locke, played by Mike Colter, is actually said to feature prominently in Halo 5: Guardians, so we'll get a pretty good chance to get to know him before the game hits next year. Below is the official synopsis of the show, as provided on Xbox.com. 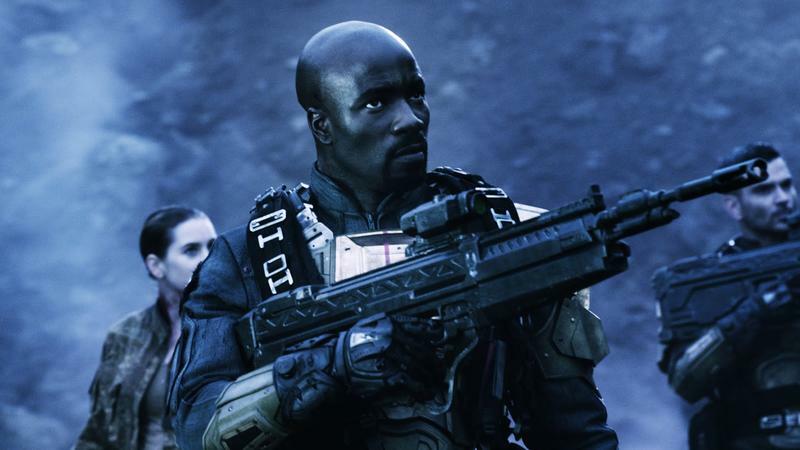 Taking place between the events of Halo 4 and Halo 5: Guardians, Halo: Nightfall follows the origin story of legendary manhunter Jameson Locke (Mike Colter) and his team as they are caught in a horrific terrorist attack while investigating terrorist activity on the distant colony world of Sedra. Led by Locke, the Office of Naval Intelligence (ONI) agents are forced to coordinate with a Sedran commander with a remarkable history and deep-rooted mistrust of ONI. As the plot unravels, they're drawn to an ancient, hellish artifact where they're forced to fight for their survival, question everything, and ultimately choose between their loyalties and their lives. Agent Locke is a new character in the Halo universe poised to play a major role in Halo 5: Guardians releasing on Xbox One in 2015. When Halo: Nightfall launches on Nov. 11, 2014, it will be available digitally to Xbox Live subscribers, and also be included with Halo: The Master Chief Collection.